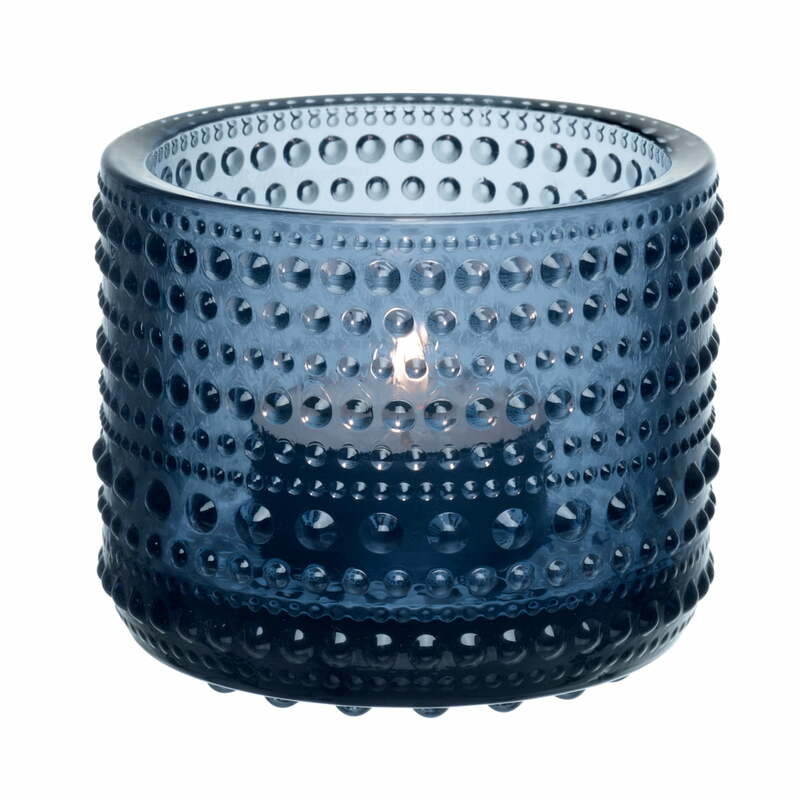 The originally 1964 presented Kastehelmi Votives by Iittala are meanwhile legendary. While they were a revolutionary new product in glass manufactures during that time, they became real classics by now. 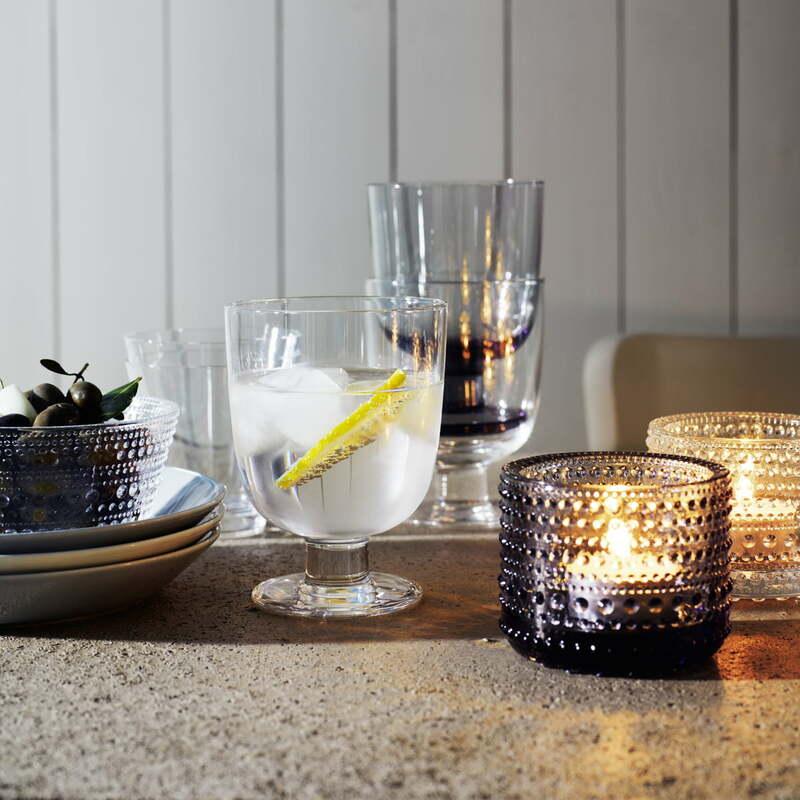 The Kastehelmi Votives by Iittala unify two elements in one: water and fire. The word "Kastehelmi" means dewdrop in Finnish. The hot flame and the cool dewdrop make up wonderful reflections that come out of this ambience light. 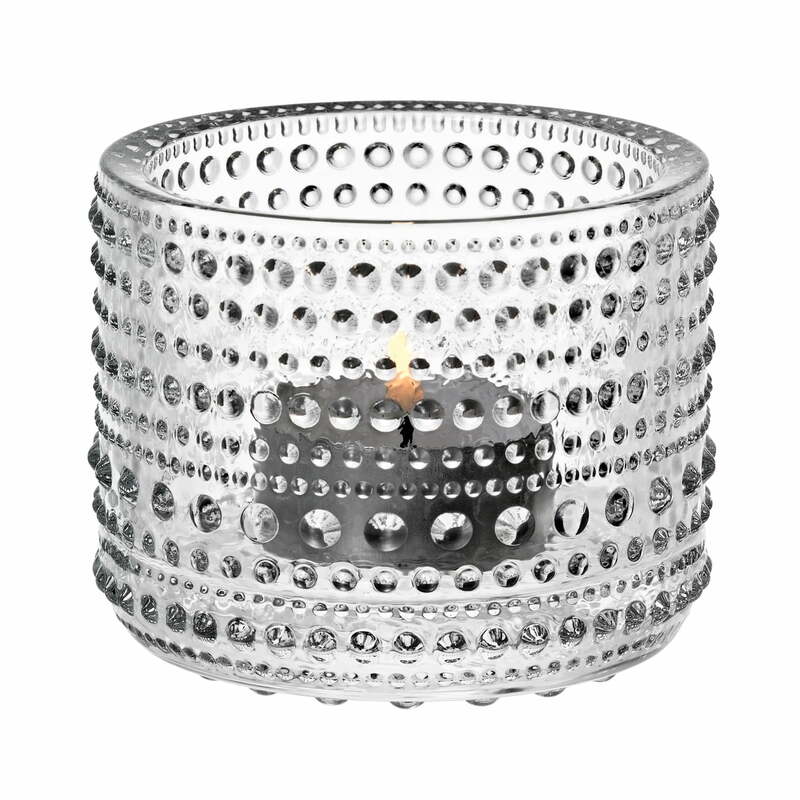 This is how the Kastehelmi Votives soon became one of the most successful series of Iittala until the production was stopped in 1988. Oiva Toikka tried to find a method of hiding seams in a pressed glass in the 60s. By this means is how he had the idea of placing small glass-drops in the seams. 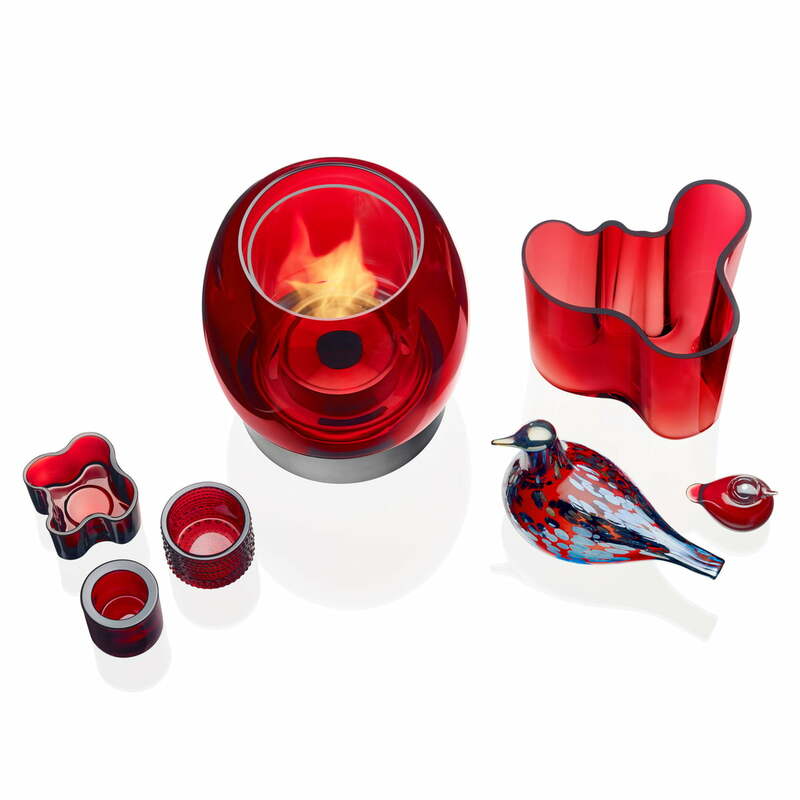 His experiment developed to a completely new design that has been reedited now by Iittala. 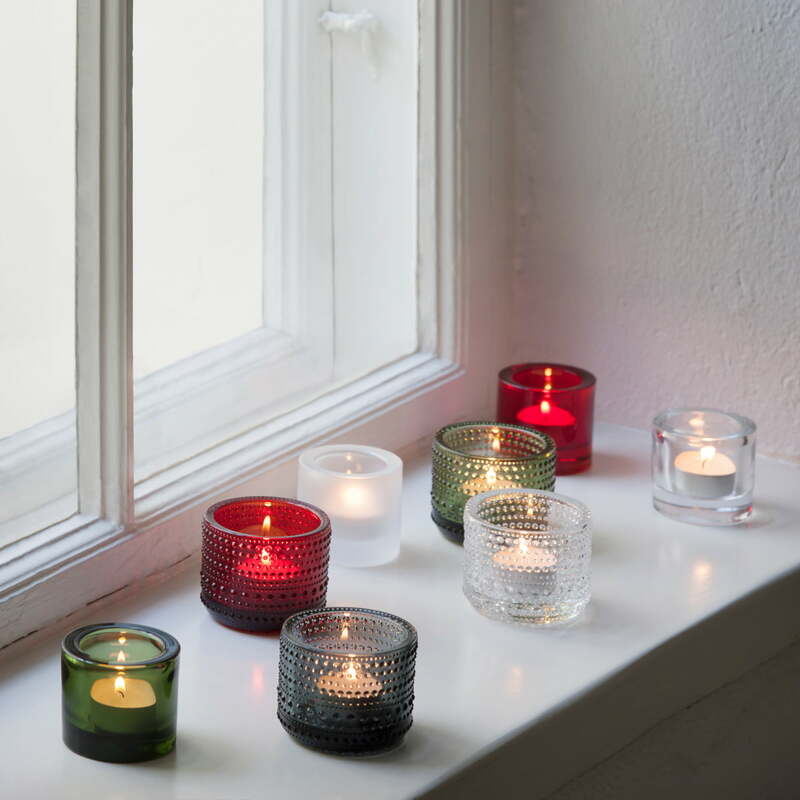 The Kastehelmi Votives by Oiva Toikka are available in seven evocatively colours. 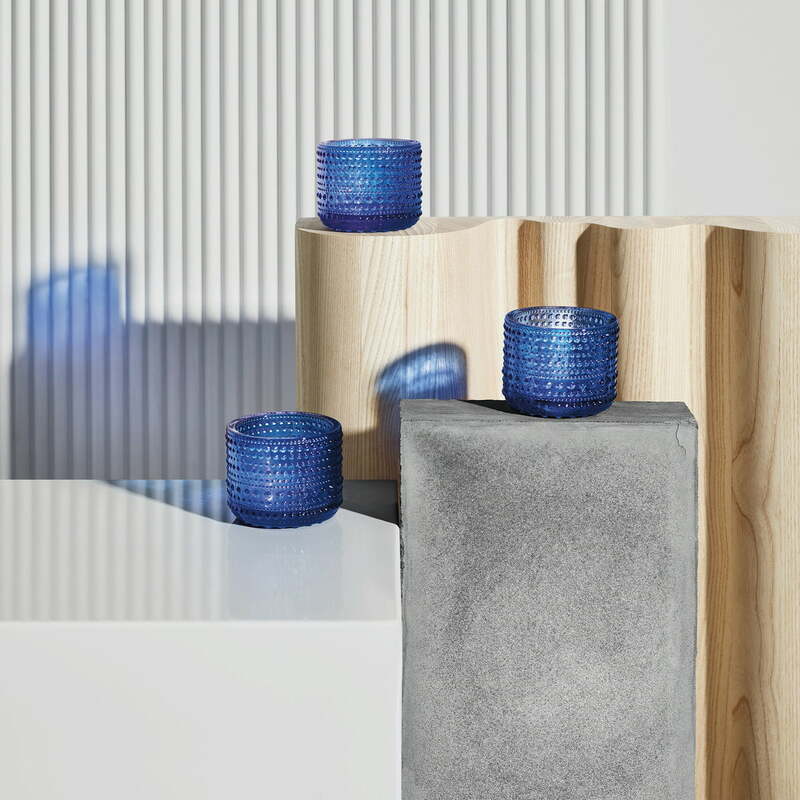 Kastehelmi votive by Iittala in ultramarine blue To celebrate Finland’s 100 years of independence, the tealight holders were stained by Oiva Toikka in ultramarine blue.